All of our laminators machine are characterized by advanced technologies and are constantly subject to rigorous quality and safety controls. 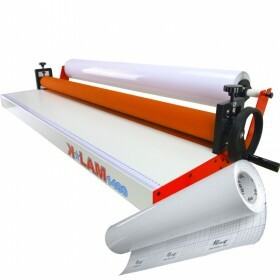 In addition to the rolle laminator, try the versatile and adaptable laminator that will not only make mounting and laminating graphics from plotter printer but also directly on forex, plexiglass, wood and more. Format and performance for unlimited print creativity! If you are looking for performance and printing format custom-made for your business needs, you are in the right place. Discover all the best models of large, manual or automatic laminators to laminate cold or hot films and making best and fast, easy to run and at a low cost. For the finishing of high resolution digital and photo images, you will find our exclusive hot/cold laminator, with rollers that can be activated separately. How to laminate in an economical, clean, and waste-free way: Without waste and in a particularly simple and intuitive way, visit our online catalog and discover all the professional laminating machines, from basic to the most powerful models, capable of making a optimized laminating through multiple temperature levels, digitally adjustable through precise displays and characterized by the very practical reverse option. Suitable laminating graphics from plotter printer with excellent color rendering and no air bubbles, wrinkles and dots, they are also the Cold Laminator 55.1" 1400mm K-LAM1400 (evolution of the KM-1300 model) with a practical door roll and precision team, and the prestigious semi-automatic BFT-1600 model, top class laminator par excellence, suitable for maxi formats and advanced features. 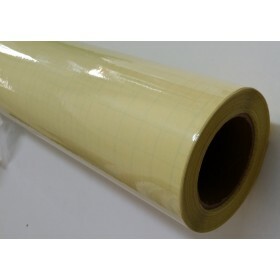 And to make high-quality laminated prints, do not forget to use our accessories and spare parts, such as the PVC Roll of transparent adhesive film in rolls or sheets and resistant PVC coils. 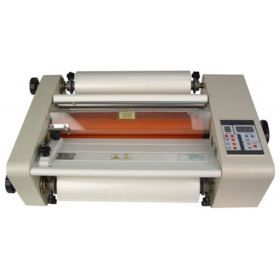 Compact and handy, the Cold Laminator 55.1" 1400mm has small dimensions of 1510 x 520 x 300mm w.. 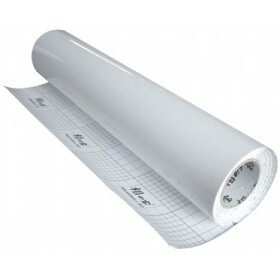 Cold Laminator - Laminator 1400 mm + Crystal Finish Cold Pressure Sensitive Laminating Film 1270mm x.. The Electric Cold Laminator, it is ideal to pair or apply adhesive. It allows, easily and profession.. This cold laminator can apply cold press process to cover graphics with cold laminating film which h.. 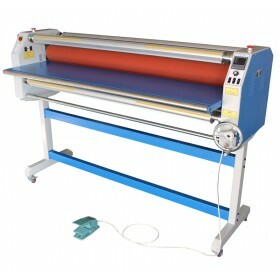 The RL360 is a hot and cold coil laminator. This laminator is the best for those seeking professiona.. 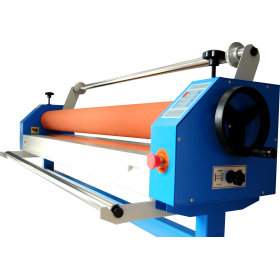 The upper roll of this laminator is adjustable for hot or cold laminating; the pressure of the rolls..
PVC Roll of transparent adhesive film (glossy type) for cold laminators. Mic. : 80. 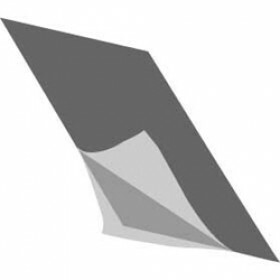 ..
Adhesive Double-Sided Sheets. Ideal to fix printings or photographs on rigid panels and/or poster..
For cold laminators. Ideal to fix printings and photographs on rigid panels. Format: 107 cm x 30 ..